Alternative-pop trio PLYA release live video for ‘Adrenaline’. Cinematic alternative-pop trio PLYA have released the live video for their storming single ‘Adrenaline’. Submerging listeners with their captivating style, the video invites you to witness PLYA exposed and real, in an intimate and honest performance. ‘Adrenaline’ was first released via underground Italian label Manifesto at the end of last year and instantly started making traction online, gaining over 700K steams on Spotify in a few weeks. And now with the video, PLYA return to the UK with a brand new headline show at London’s Thousand Island. Emerging just over a year ago with the track ‘Thinking Of You’ the three piece immediately sparked attention with their artistic songcraft. 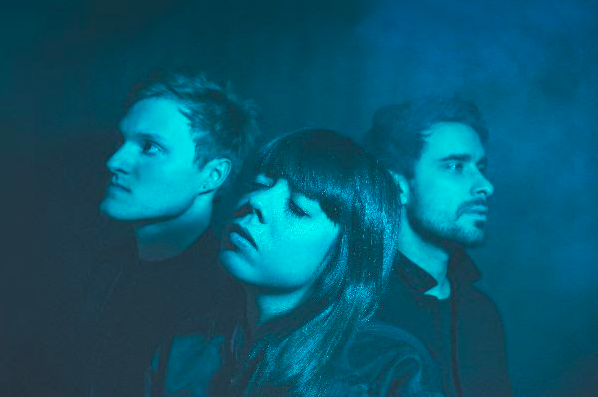 Perfectly syncing electronica, rock undertones with atmospheric pop, PLYA, led by Julia Sykes, deliver a cosmic sound full of sonic tension and diversity, derived from Julia’s eclectic upbringing, drawing in aspects of London, Europe and Los Angeles. Since debuting, PLYA were named BBC London’s ‘BBC Introducing featured artist’ in April 2018 and had their Hype Machine Top 10 single ‘Feast My Eye’ hand-selected by Sir Elton John for his Apple Music Beats 1 Radio show. They also played a sold-out headline show at London’s Camden Assembly, and supported the likes of Grammy nominated artist K.Flay, R.LUM.R, The Aces and The Night Game in the UK and Europe. PLYA also joined the bill of upcoming talent at The Great Escape Festival 2018 as well as appeared at the sold-out three-day festival O Son do Camino in Spain, alongside headliners The Killers, Two Door Cinema, Martin Garrix and more. In September PLYA simultaneously released the sensuous tracks ‘Innocent’ and ‘Addiction’, with ‘Adrenaline’ finishing off an exciting year for the trio. Now with new music soon to be announced, they will be headlining London’s Thousand Island on February 28th with Cronicle as support. Tickets HERE.